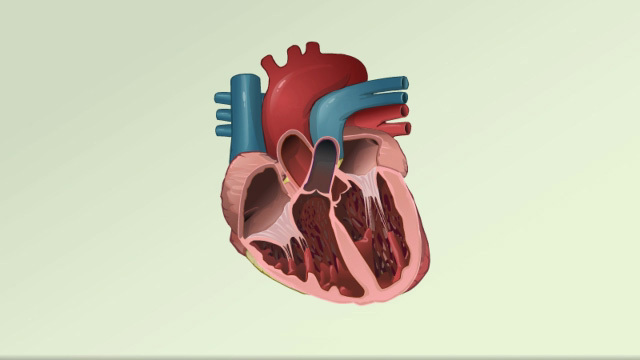 The heart pumps blood to the lungs, brain, and other organs. If the heartbeat is interrupted, even for a few seconds, it can lead to fainting (syncope) or cardiac arrest. Fibrillation is an uncontrolled twitching or quivering of muscle fibers (fibrils). When it occurs in the lower chambers of the heart, it is called VF. During VF, blood is not pumped from the heart. Sudden cardiac death results. Most people with VF have no history of heart disease. However, they often have heart disease risk factors, such as smoking, high blood pressure, and diabetes. A person who has a VF episode can suddenly collapse or become unconscious. This happens because the brain and muscles are not receiving blood from the heart. A cardiac monitor will show a very disorganized ("chaotic") heart rhythm. Tests will be done to look for the cause of the VF. VF is a medical emergency. It must be treated immediately to save a person’s life. Call for emergency help (such as 911) if a person who is having a VF episode collapses at home or becomes unconscious. While waiting for help, place the person’s head and neck in line with the rest of the body to help make breathing easier. Start CPR by doing chest compressions in the center of the chest ("push hard and push fast"). Compressions should be delivered at the rate of 100 to 120 times per minute. Compressions should be done to a depth of at least 2 inches (5 cm) but no more than 2 ¼ inches (6 cm). Continue to do this until the person becomes alert or help arrives. VF is treated by delivering a quick electric shock through the chest. It is done using a device called an external defibrillator. The electric shock can immediately restore the heartbeat to a normal rhythm, and should be done as quickly as possible. Many public places now have these machines. Medicines may be given to control the heartbeat and heart function. An implantable cardioverter defibrillator (ICD) is a device that can be implanted in the chest wall of people who are at risk for this serious rhythm disorder The ICD detects the dangerous heart rhythm and quickly sends a shock to correct it. It is a good idea for family members and friends of people who have had VF and heart disease to take a CPR course. CPR courses are available through the American Red Cross, hospitals, or the American Heart Association. VF will lead to death within a few minutes unless it is treated quickly and properly. Even then, long-term survival for people who live through a VF attack outside of the hospital is low. People who have survived VF may be in a coma or have long-term brain or other organ damage. Garan H. Ventricular arrhythmias. In: Goldman L, Schafer AI, eds. Goldman’s Cecil Medicine. 25th ed. Philadelphia, PA: Elsevier Saunders; 2016:chap 65. Meaney PA, Bobrow BJ, Mancini ME, et al. Cardiopulmonary resuscitation quality: [corrected] improving cardiac resuscitation outcomes both inside and outside the hospital: a consensus statement from the American Heart Association. Circulation. 2013;128(4):417-435. PMID: 23801105 www.ncbi.nlm.nih.gov/pubmed/23801105. Myerburg RJ. Approach to cardiac arrest and life-threatening arrhythmias. In: Goldman L, Schafer AI, eds. Goldman’s Cecil Medicine. 25th ed. Philadelphia, PA: Elsevier Saunders; 2016:chap 63. Olgin JE, Zipes DP. Specific arrhythmias: diagnosis and treatment. In: Bonow RO, Mann DL, Zipes DP, Libby P, Braunwald E, eds. Braunwald’s Heart Disease: A Textbook of Cardiovascular Medicine. 10th ed. Philadelphia, PA: Elsevier Saunders; 2015:chap 37. Perkins GD, Jacobs IG, Nadkarni VM, et al. Cardiac arrest and cardiopulmonary resuscitation outcome reports: update of the Utstein Resuscitation Registry Templates for Out-of-Hospital Cardiac Arrest: a statement for healthcare professionals from a task force of the International Liaison Committee on Resuscitation (American Heart Association, European Resuscitation Council, Australian and New Zealand Council on Resuscitation, Heart and Stroke Foundation of Canada, InterAmerican Heart Foundation, Resuscitation Council of Southern Africa, Resuscitation Council of Asia); and the American Heart Association Emergency Cardiovascular Care Committee and the Council on Cardiopulmonary, Critical Care, Perioperative and Resuscitation. Circulation. 2015;132(13):1286-1300. PMID: 25391522 www.ncbi.nlm.nih.gov/pubmed/25391522.